After 13 years of local impact, WRI Mexico officially opened 4 programs that work as a door to Spanish speaking countries: Cities, Climate, Forests and Energy. For 13 years we worked as the cities program under the CTS EMBARQ Mexico, and in 2016 we became WRI Mexico. Over 75% of Mexico's population is urban. This makes improving urban quality of life and social inclusion a priority. Mexican cities need integrated transport systems, safe public spaces, better cycling and pedestrian infrastructure, better air quality and better urban development planning. 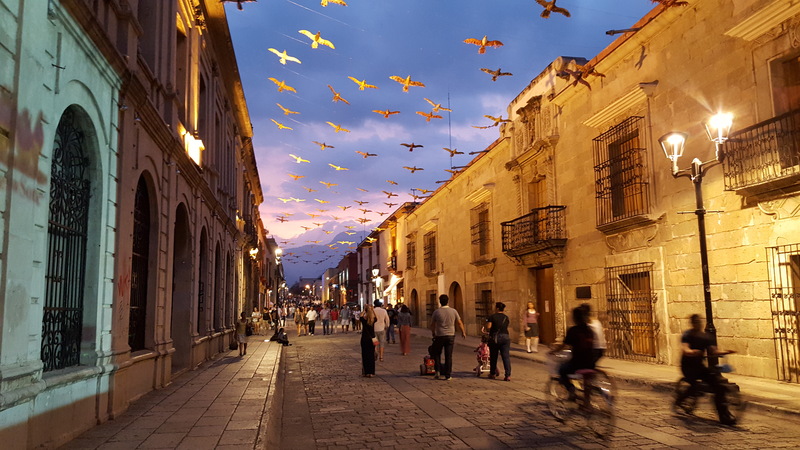 In WRI Mexico we have over 13 years of experience working with local governments to transform Mexican cities and improve the quality of life for everyone. Mexico is a global leader in climate and sustainability action, and it led international negotiations on climate during COP16, achieving historical agreements to reduce global temperature by 2 degrees. During the G20 meeting in Los Cabos green growth was added to the Mexican agenda, and on 2012 Mexico became the first developing country to create a climate change law. In 2015, the country launched its post-2020 climate action plan and its NDCs. Mexico needs concrete action to reach its goals to reduce the negative effects of climate change. Mexico has over 139 million hectares of forests and jungle that make up more than 60% of the total. Deforestation and degradation create emissions that represent over 9% of Mexico’s carbon emissions. Mexico hopes to achieve a 0% deforestation rate by 2030. At WRI México, we work to help governments in reforestation of devastated areas, to increase environmental connectivity and carbon capture through conservation and restoration. Mexico produces just 20% of its energy from clean sources, while over 65% of its energy is generated by fossil fuels. We need to reduce our GHG emissions by promoting the use of clean and renewable energies that will also help us reach those in most need, while creating competitive, low carbon economies.